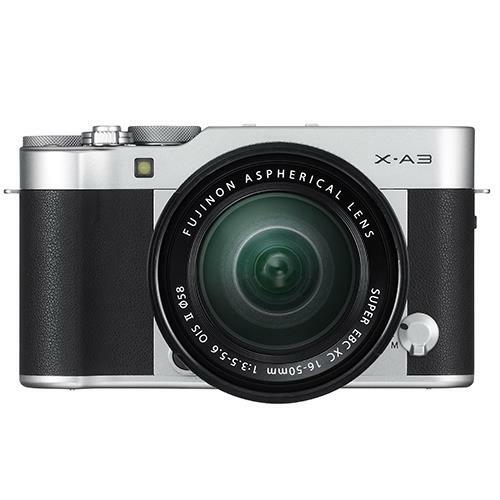 The Fujifilm X-A3 is a portable camera that delivers great image quality – perfect for capturing life’s special moments, or getting creative with your everyday photography. It’s connected too, so sharing images from your smart device is easy – a great tool for bloggers, and social butterflies on the go. The camera’s 24.2-megapixel sensor is significantly bigger than those you’d find in smartphones and compact cameras. Capture sharper detail and more accurate colours, even in low-light conditions like parties where small-sensor cameras struggle. Face-detection autofocus helps you capture pin-sharp portraits against a soft blurry background – a look that professional photographers love! Fujifilm’s unique colour reproduction does a great job with skin tones too. 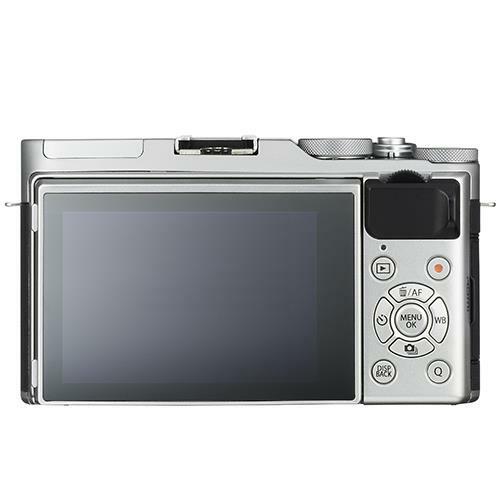 Selfie shooters will love the X-A3: its viewscreen flips over through 180˚ and slides upwards so you can see it clearly when composing a picture. Selfie operation modes include eye-detection AF that keeps an eye in perfect focus and Portrait Enhancer that makes skin look brighter and smoother. You can even set the camera to capture a selfie when it recognises a smile, or a certain number of people in the frame, making it easy to get picture-perfect shots online in an instant without the need for filters or editing. Shoot natural-looking pictures without flash, using available light to capture the atmosphere of the occasion. High-ISO sensitivity settings (up to the equivalent of ISO 25,800) and an Optical Image Stabilizer let you capture pin-sharp results in low-light levels, so with this little camera you don’t always need to worry about extras like a tripod for keeping your shots steady. The X-A3 is as stylish as it is accomplished. Choose a look to match your personality and enjoy the versatility that an interchangeable lens camera gives you. The included XC16-50mm lens is the perfect all-rounder for capturing everything from portraits of friends and family, to landscape scenes and holiday snaps, and of course those perfectly polished selfies.